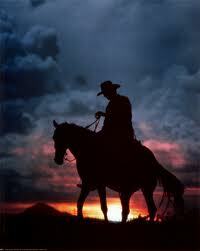 There’s Just Something About A Cowboy! Contemporary Western Romances have become very popular reads. That cowboy drawl, the tight jeans, the muscular body, the slightly long and unruly hair, chaps, the “yes ma’m, thank you ma’m”, the tough exterior with the soft and gentle heart – it stirs a woman’s heart! The Cheshire Library has many titles to choose from that will get your heart afluttering. Listed below are some of our most popular. Cowboy Take Me Away by Jane Graves. This is the first in her new series Rainbow Valley, Texas. She also has several other titles on our Romance paperback shelves, including the very popular series Plano, Texas featuring Hot Wheels and High Heels, Tall Tales and Wedding Veils, Black Ties and Lullabies, Heartstrings and Diamond Rings. Katie Lane has a popular series, Deep in the Heart of Texas. Titles in this series include: Trouble In Texas, Catch Me A Cowboy, Going Cowboy Crazy, Make Mine A Bad Boy. Carolyn Brown’s final book in her Spikes and Spurs series, Cowboy Seeks Bride, will be out in August (we’ll be ordering it when the new fiscal year starts). The other books in the series are: Love Drunk Cowboy, Red’s Hot Cowboy, Darn Good Cowboy Christmas, One Hot Cowboy Wedding, Mistletoe Cowboy and Just a Cowboy and His Baby. C H Admirand has a hot cowboy series – The Secret Life of Cowboys. Titles are: Tyler, Dylan and Jesse. Emma Cane has a cute series – Valentine Valley. True Love at Silver Creek Ranch is the latest. A Town Called Valentineis the first. Cardwell Ranch Trespasser is book number 3 in B. J. Daniels series Cardwell Ranch. Book one is Unforgiven. Book two is Redemption. Joanne Kennedy’s newest cowboy book is Cowboy Tough. She also has several other titles on our shelves. Laura Moore has a new series, Silver Creek. Book one is Once Tempted. Her Rosewood Trilogy was very popular. Book one is Remember Me. Book two is Believe in Me. Book three is Trouble Me. Other popular authors that write Contemporary Western Romances are: Janet Dailey, Joan Johnson, Jodi Thomas, Debbi Macomber, Kat Martin, Linda Lael Miller, Diana Palmer and Jodi Thomas. Come in and check out our extensive collection in the Romance Paperback section of the library.